In the build up to the 2015 Rugby World Cup, Guinness released two commercials revealing the inner strength behind two of the game’s best loved players. 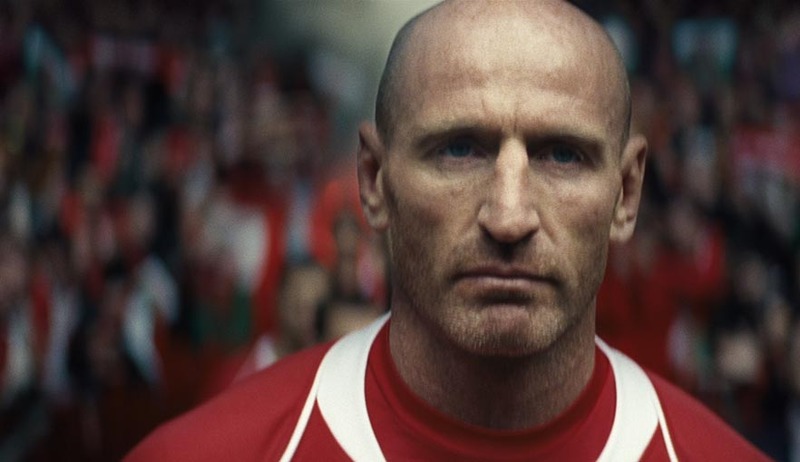 The two commercials champion the inner strength of character found in former Welsh captain Gareth Thomas and Springbok Ashwin Willemse as they share the difficult decisions they had to face in the pursuit of their careers. The support of their teams is carried in the title “Never Alone”, while the call for integrity is expressed in the title “The Right Path”. “Never Alone” has Welsh player Gareth Thomas talking about how he revealed the truth about his sexuality to his teammates. Gareth’s greatest fear wasn’t the opposition he faced on the pitch. This film celebrates the courage of Gareth and support shown by his teammates when he needed them most. “The Right Path” tells the story of Ashwin Willemse, a man who had a choice of two paths when growing up. One dictated to him by a notorious Cape Town gang, and one he would need to make for himself, to follow a path to the pinnacle of rugby. The film celebrates the choice that he made to defy his circumstances, and with the encouragement of those around him, he became who he really wanted to be, eventually winning 19 caps for his country and becoming a World Champion in 2007. The Guinness Rugby Never Alone and Right Path campaign was developed at AMV BBDO by creative director Dave Buchanan, copywriters Mike Crowe and art director Rob Messeter (Gareth), copywriter Toby Allen and art director Jim Hilson (Ashwin), agency producers Jess Tranfield and Nick Godden, account executives Ben Griffiths, Laura Balfour, Chris Ferguson, Marina Lanaghan, account planner Steve Hopkins, working with Stephen O’Kelly, marketing director for Guinness (Western Europe) at Diageo. Media was handled at Carat by planner Jackie Lyons. Filming was shot by director John Hillcoat via Stink with producer Malachy McAnenny. Editing was done at Trim. The short documentaries were created by Dan and Ben Tubby, of Tubby Brother. Visual effects were produced at MPC by VFX producer Amy Smith, 2D creative director Bill McNamara, 2D supervisor Jim Radford, VFX Team Daniel Cowley, Grant White, Julia Caram, Lino Khay, Matthew Jackson, and colourist Mark Gethin. Sound was designed at 750mph. Music by Ludovico Einaudi, Warren Ellis and Nick Cave was supervised at Radford Music.